Crabgrass, also known as fingergrass, was brought to North America by European immigrants in the 1800s. Since those early days, the plant has become invasive, turning an attractive lawn into a weedy mess as it robs moisture and nutrients from the soil. Don’t give up if crabgrass has invaded your lawn. Crabgrass is difficult to get rid of, but with persistence, you can restore your lawn to its weed-free glory. Crabgrass may look a lot like regular grass, but if you look closely, you’ll see that crabgrass grows in clusters that radiate, crab-like, from the center of the plant. Crabgrass seeds sprout as soon as the soil warms up in mid-spring. Like most summer annual plants, it dies when it’s nipped by frost in fall, after producing thousands of seeds that lie dormant, waiting to burst forth in spring. Crabgrass thrives in hot, dry weather and spreads quickly during the summer. It adapts to nearly any soil, including heavy clay. It prefers disturbed areas such as fields, pastures, vacant lots, roadways, and of course, lawns. Keep your lawn as healthy as possible. Crabgrass pops up in thin, bare lawn and adverse growing conditions, but it has a harder time getting started in healthy turf. Feed and water your lawn regularly. Set your mower a little higher. Pull crabgrass by hand early in the season, when the roots are shallow and the plant hasn’t produced seeds. Mulch flowerbeds well to discourage regrowth. Apply a pre-emergent before crabgrass seeds sprout in spring. Timing is everything; if you apply pre-emergent too early, it will lose potency by the time seed germinate; but if you wait too long, your time and money will be wasted. Use a post-emergent weed killer if crabgrass has already germinated, preferably while the weeds are still small. Crabgrass will regrow in bare patches, so reseed treated areas two or three months after applying weed killer. 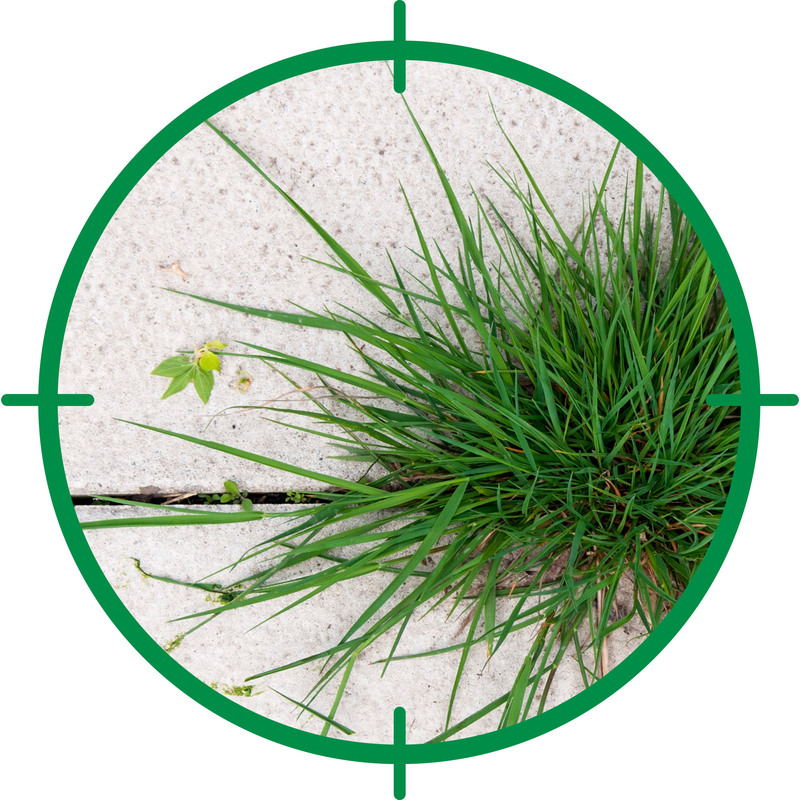 A ready-to-use weed killer is effective for crabgrass is growing in patches or along sidewalks or driveways.